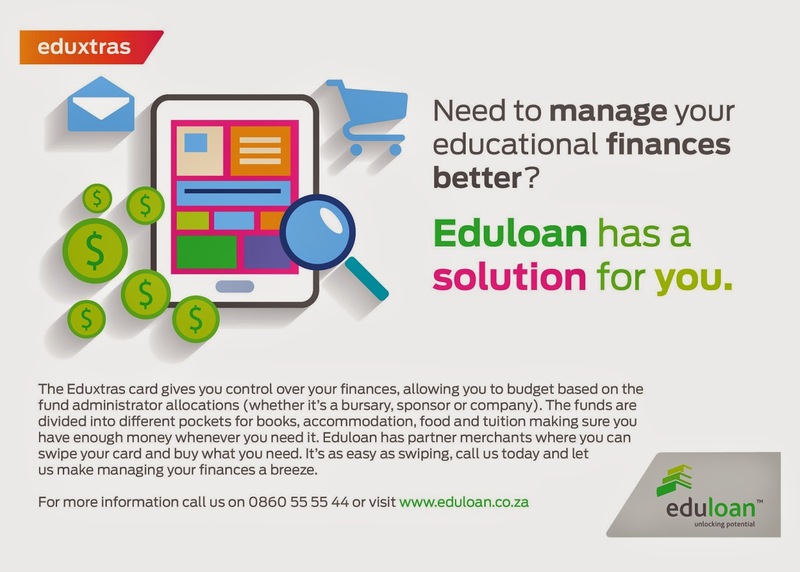 This is where Eduloan’s Eduxtras product plays an important role. In essence it is a budgeting system whereby the bursar can determine and allocate funds for a specific item, called spending pockets - like meals, accommodation, books, and even cash. Eduxstras is a scalable, workable solution that helps the student reach his or her academic goals and assures the bursar that the money granted is spent well. The system gives bursars access to a full report of what the student is spending money on, which allows the bursars to adjust the spending pockets for, accommodation or meals, should they feel that these are not sufficient.